One of our core databases in US region has been restarted due to some failures by AWS. All running jobs failed or will fail due to this reason. UPDATE﻿: The problem affected ca 26 jobs. There was some unspecified low-level failure on the database or its underlying hardware and AWS automatically switched to a backup instance. We are going to investigate if our platform can handle the failure and restart the jobs automatically next time. Thanks for your understanding, we are sorry for any inconvenience. Today, on April 13 2019 from 14:14 UTC to 14:15 there were some orchestration failures in the US region due to an internal system upgrade. Very few orchestrations were affected, please review your orchestration and restart if needed. This issue is not related to the issue with failing orchestrations happened previously today. We are registering increased amount of failing orchestrations since 2:27 CET. We are investigating the issue now and will keep you updated. 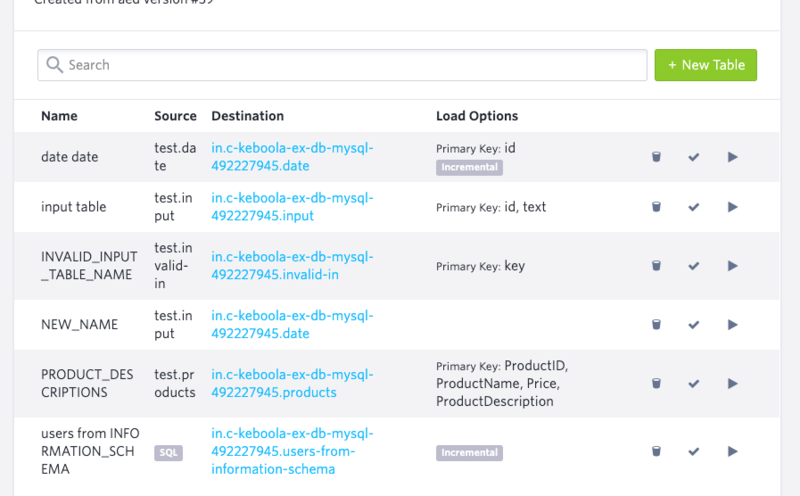 Source shows schema as well as table name in tables list. 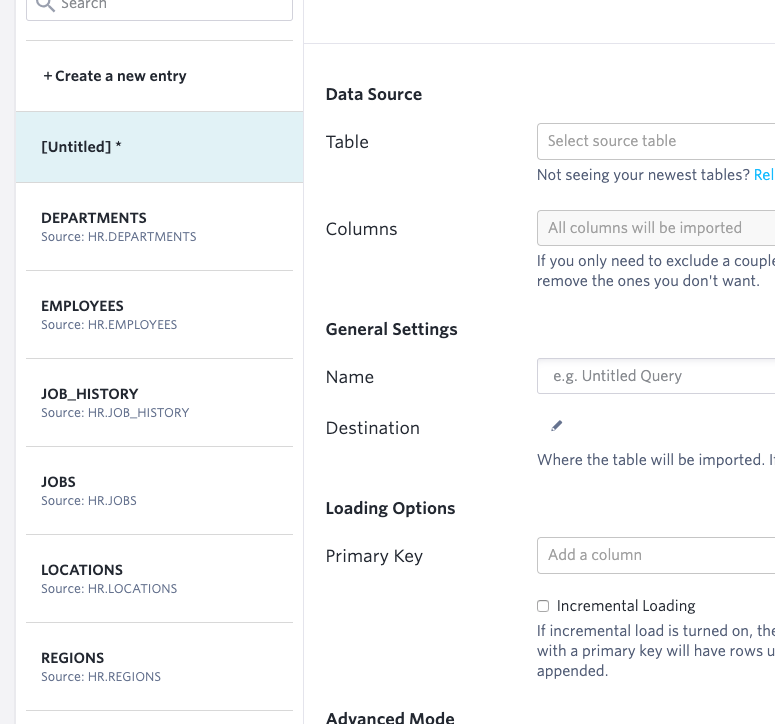 Also it's visible from first glance which tables are created from a storage table and which are from SQL. Execution of some table import jobs scheduled after 07:42 UTC was delayed up to 30 minutes. The delay was caused by new platform release which was immediately rolled back. All systems are now operational. 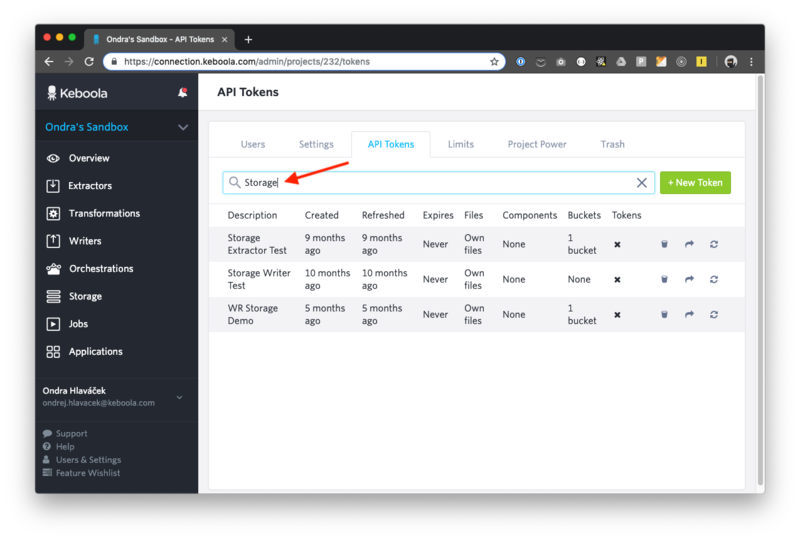 Added fulltext search in API tokens. Added fulltext search and sorting by name in Orchestrations. We have discontinued Productboard and all your new ideas come directly into our inbox. Please feel free to share with us anything on your mind. Python and R transformations show the link to the transformation configuration. After successfully validating a SQL transformation you can immediately run it. 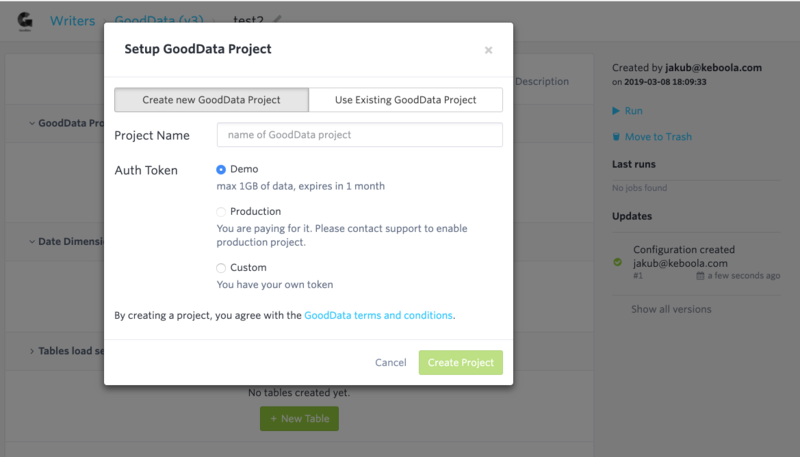 We have released a new version of GoodData writer. It runs fully in our Docker infrastructure and so uses its full potential. 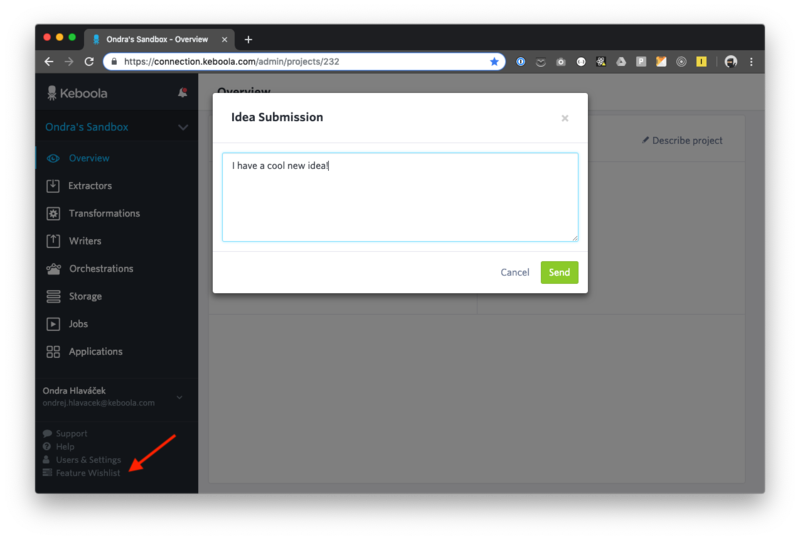 Other custom features of the old Writer like mandatory user filters and cloned projects have to be handled in a custom way outside of the Writer. The old Writer was unpublished but you can still use existing configurations. Its depreciation and a way of configuration migration will be announced in the near future. But you are strongly encouraged not to create new configurations anymore. We're investigating issues with Power BI not showing tables in your Snowflake workspace. We're sorry for this inconvenience, we'll be updating this post with our findings. Snowflake confirmed they can reproduce the issue and are investigating further. The issue affects transient tables (CREATE TABLE statement), but does not affect views. As a temporary workaround we suggest to log in directly into the Snowflake workspace and create views from all tables in the schema. These views should be immediately visible in Power BI. Snowflake are preparing a new version of the ODBC Driver which allows Power BI to see the tables. Use the support button in your project to contact us to obtain this driver. Today, on March 15 2019 from 16:34:15 UTC to 16:35:12 UTC there were some orchestration failures in the US region due to an internal system upgrade. There were not many failures (around 20, so very few are affected), but if you had an orchestration running at that time, please check to make sure that you were unaffected. We are working on making sure that this will not happen again for any future upgrades. We were affected by a brief outage of the EU region Snowflake database on Mar 07 between 17:45:00 UTC and 18:25:00 UTC in the EU region. The problem affected extractors and transformations. Please check your orchestrations and re-run them if necessary. Projects in the US region were unaffected. We apologise for the inconvenience caused.